Create your own Okidata Oki MC160 color toner pack / bundle with our flexible quantity discount pricing. Mix and match products so you are only purchasing what you need, but also maximizing your savings. Remanufactured Cyan Toner Cartridge with 2,500 high capacity page yield. Equivalent to Okidata part number(s): 44250715, Type D1 Cyan. Fits the following model(s): Okidata MC160, Okidata MC160 MFP. Remanufactured Magenta Toner Cartridge with 2,500 high capacity page yield. Equivalent to Okidata part number(s): 44250714, Type D1 Magenta. 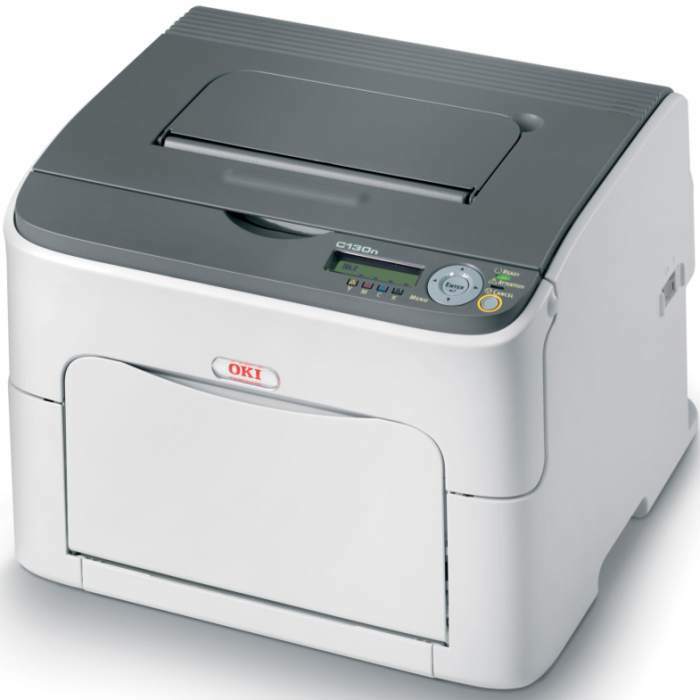 Fits the following model(s): Okidata MC160, Okidata MC160 MFP. Remanufactured Yellow Toner Cartridge with 2,500 high capacity page yield. Equivalent to Okidata part number(s): 44250713, Type D1 Yellow. 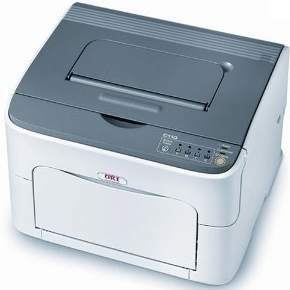 Fits the following model(s): Okidata MC160, Okidata MC160 MFP. Remanufactured Black Toner Cartridge with 2,500 high capacity page yield. Equivalent to Okidata part number(s): 44250716, Type D1 Black. 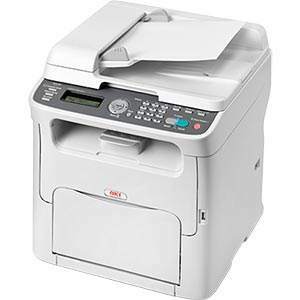 Fits the following model(s): Okidata MC160, Okidata MC160 MFP. Buy our high quality compatible toner for Okidata Oki MC160 with confidence. Join thousands of happy customers who have found our compatible products are equivalent in page yield and print quality. For our compatible products, we offer a 100% Satisfaction Guarantee allowing you to return products within 6 months if you are unsatisfied. Combining the ability to print, copy, scan and fax in monochrome or color, the Okidata MC160 (also referred to as the MC160 MFP) offers the basic necessities for small offices. It is not overwhelmingly large, like many business machines on the market, measuring about 16x17x17 inches and weighing just over 40 pounds. For a laser device, the overall speed is a bit disappointing, maxing out at 20 pages per minute in black-and-white and 5 pages per minute in color. It takes less than a minute for the Oki MC160 to warm up, and depending on the type of document being printed, the first page will print out in 15-25 seconds. The maximum monthly capacity of the MC160 is 35,000 pages, which should be more than enough for small workgroups. Up to 99 copies can be made from an original and the size of the image can be adjusted from 50% to 200% of the original size. Documents can be scanned to email or to a file and a front USB port allows scans to be saved to a flash drive. A 35-page automatic document feeder allows for continuous scanning or copying, and sits on top of the lid covering the flatbed scanning surface. The Super G3 fax machine has a transmission rate of 33.6 Kbps, which equates to about 3 seconds per fax. 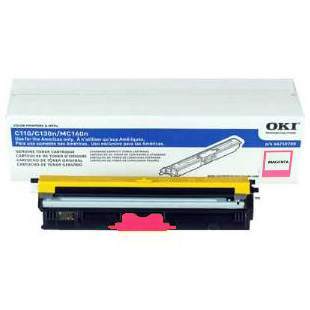 Because it is a color laser printer, there are four separate Okidata MC160 toner cartridges that are used during operation. 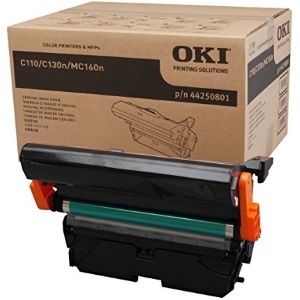 Cyan, magenta, yellow and black are the colors of printer toner, and each high-capacity Oki MC160 toner cartridge can yield about 2,500 pages, keeping the overall cost per page fairly low. Various stores will have replacement toners that are affordable and readily available. Replacement Okidata MC160 toner is not cheap, so be sure to compare prices for the best value. Besides plain paper, this machine can also print on labels and envelopes. The built-in paper tray can hold about 200 sheets of paper, but there is an optional tray available that holds as many as 500 sheets, increasing the total paper capacity to 700 sheets. Regardless of what type of paper is being used, the highest resolution that can be reached using Oki MC160 toner is 1200x600 dpi. The processor in this unit is 120 MHz and the maximum memory capacity is 128 MB. Most major operating systems will support the MC160 and users can connect via standard USB port or ethernet, which allows for network sharing. Duplex printing is optional, and could reduce paper costs, while the Energy Star qualification means this machine limits its energy use as well. Compact enough for a desk but capable of handling the jobs of four different machines, this is a solid all-in-one device for small offices. It is affordable due to the low cost per page and will provide professional-level quality and efficiency.